Republican senators delivered a surprise defeat to President Donald Trump on Thursday, sinking the nomination of Ryan Bounds to the ninth circuit court of appeals, just minutes before he was to receive a final confirmation vote by the chamber. 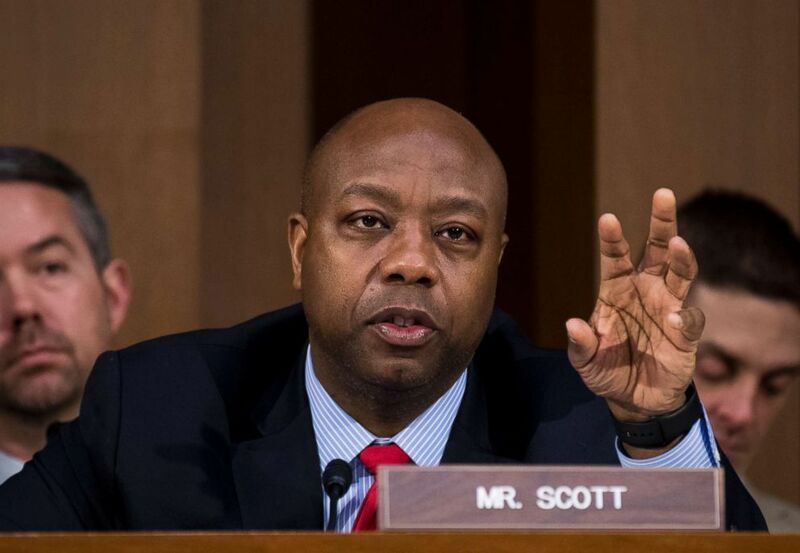 The White House was forced to withdraw the nomination after Sen. Tim Scott, R-SC, the Senate's lone African American Republican, voiced concerns about controversial writings by Bounds disparaging multiculturalism during his time at Stanford University. Objections were initially voiced, primarily by Democrats who called the writings racist, during Bounds' confirmation hearing in May before a party-line vote to approve him, so the controversy was not a new one. Still, GOP leadership appeared to be caught off guard. When the final vote moved forward, the Senate’s number two Republican - John Cornyn of Texas - responsible for the GOP vote count, was suddenly rushed off the floor by a staffer for Majority Leader Mitch McConnell. "There was some objections raised that couldn’t be resolved in the short time we had, and so the White House decided to withdraw the nomination rather than have the nominee fail," Cornyn told reporters after huddling with GOP leadership in McConnell’s office. Scott said he voiced his objections Thursday in a GOP lunch just off the Senate floor, and his concerns were then quickly supported by enough of his colleagues – according to two attendees – that the nomination had no chance. Sen. Tim Scott speaks on March 13, 2018. "It was a good speech. Tim's a good man. That's all I can say," said one senator exiting the meeting who asked for anonymity in describing the closed-door session. Scott’s objections, the senator said, were all about the nominee’s college law review articles. "I had not tried to convince anyone to do anything, but I shared my thoughts," Scott said of his speech to his colleagues, adding, "I addressed the fact that I needed more information." Sen. Marco Rubio, R-Fla., said, "Sen. Scott this morning raised some issues and he needed more time…I supported him in that decision." Leader McConnell, R-KY, announced the withdrawal -- the sixth Trump judicial nominee to meet that fate. "The information that I had was insufficient for me to be a 'yes' vote, and therefore I was looking for more information that I had not yet been provided with," Scott described later to reporters, saying he was not "closed" to the nominee with whom he spoke earlier in the day. That means the nominee - who apologized for his writings at the May hearing - could be resubmitted by the White House, should Scott’s objections be addressed. Democrats tried to capitalize on the rare moment of GOP disunity by raising the specter that Trump's Supreme Court nominee, Brett Kavanaugh, could have controversial writings hidden among the million plus documents that are a part of his tenure at the George W. Bush White House. "Republicans just sunk the Bounds nomination based on his college writings. After that, how are they going to argue that Judge Kavanaugh’s White House papers aren’t relevant to his nomination to the Supreme Court?" "I don't know why Democrats would think we're not going to do a deep-dive on the nominee. We are," a senior GOP Judiciary Committee aide told ABC News, adding, "But we're not going to embark on a taxpayer funded fishing expedition."